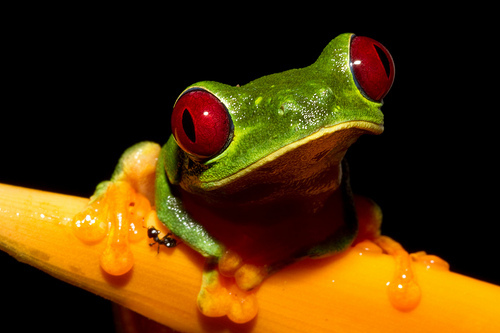 Frogs, Echidnas, and other animals have evolved in different ways to be able to survive. The environment is changing. What are you doing to survive? I still meet people who are scared of the internet. They are too worried about ex’s looking them up and finding out what they are up to. You can’t always control what pictures your friends decide to post and tag you in but in the long run does it really matter? Rather than being scared of the internet and reacting to things after the fact why not take control what people read about you and use it your advantage. It’s not just good enough to have a Twitter username, a LinkedIn profile, a Facebook profile, an About.me profile etc. You need to learn how to use social networks so you not only make friends but you connect with people who can find you jobs, get you hired or inspire you to change careers or go back to school. It’s so easy to find a job and disappear for years. You feel so secure and get into your routine pretty quickly that by the time you decide that this job isn’t for you, your resume has a few inches of dust on it and you don’t even know where to begin. I’m definitely not a guru of social media but I have people around me that are and have re-introduced me to the internet. That is what I think people should do. Get out of your comfort zone and try something new. I’m not suggesting you quit your job and go back to school. Unless that’s what you want to do. I’m suggesting something easier and you can do after work before you go to bed. Go on Twitter and start following people that interest you. Read more blogs or watch videos on YouTube that aren’t always just silly and funny but are teaching you a skill and you’re actually learning something. The internet is amazing. If you need help with anything the internet knows the answer. If you’re looking for a job you can find hundreds of recruiters and blogs that can help you figure out what career you should be in (finding your passion), what groups on LinkedIn you should join and connect with people who are trying to do the same thing. Connecting with real people is the key. Social networking is an amazing thing because you connect with real people. From my own twitter followers, I have learned that some recruiters don’t like using social networks like facebook, twitter etc. They say that people tend to hide behind a keyboard and end up not finding a job, which leads to frustration. I completely agree and this is why I believe that just having a profile on any network site is not going to get you a job. You need to work on it. Having a fantastic resume sitting on your desk is not going to get you the perfect job you want. You will. It takes hard work and time to search for jobs, apply for jobs and find people who can get you hired. Getting involved with social media is like taking on a part-time job. It’s time consuming. The most important thing you need to remember is that you are on these sites because you don’t want to be left behind. LinkedIn and Twitter and my own website have become my favorite tools to meet people and find jobs. On LinkedIn I joined various recruiting groups and posted that I was a virtual recruiter looking for a new contract. I did the same thing on my website and on twitter. I looked up people on Twitter and LinkedIn who were already virtual recruiters and contacted them directly asking them how they got there jobs. I hear people say all the time that the internet can be a cold and untrusting place. Well, I believe if you’re genuine and are not selling anything (cause that’s annoying) people want to help you. I could not believe how many responses I received and how many job offers I got. While traveling around Europe, the Philippines and Australia in 2010/2011, I decided to follow backpackers on Twitter. I learned so many tips and connected with people who have lived in countries that I have always wanted to visit. They give me advice and I learn something new everyday. These are real people that I have connected to who I hope to visit when I’m traveling near there neck of the woods. I love traveling because you get to meet some amazing people. I met one woman who also worked remotely. I thought this was great as I was just in the beginning of my remote adventure and here is this woman who has been doing it for over 5 years. I was curious about her work but she was always distant and didn’t really want to get into detail about it. I honestly thought she was a bit snobby and just didn’t want to talk to a smelly backpacker 😉 What could she possibly learn from me? Well, it turns out when I was in LA a few weeks ago I get an email. She contacted me through my website. She told me that she wanted more work but didn’t know how to get it. I was confused. I thought this woman had everything under control. She was working remotely so I assumed she was computer savvy and knew her way around the internet. Well that’s not the case. She sent me her resume and it was probably the wort resume I have ever seen. I figured she was like many people who were stuck in one job for too many years and haven’t learned how to adapt. I assumed since she already worked remotely that she knew about oDesk, Freelancer etc. Unfortunately, like many people she stuck her head in the sand and everything changed around her without her even noticing. Now that she wants to find a new job the internet is all of a sudden a scary place. Don’t let this happen to you. Stay connected to your children and don’t be afraid of young people. Young people can help you stay connected to the present so you don’t fall behind and get lost. Young or old people need to be reminded that to be able to grow and survive we need to always be open to new ways of doing things. You can learn so much from the internet. It’s not only a place where you can change your profile pic. It’s a place where you can swap houses for a month and live in Iceland if you want. It’s a place where you can learn how to change your first oil change. It’s a place where you can connect with someone who can help you find a new job, write a better resume for you and introduce you to people that can add a lot of value to your life. I probably learn something new from the internet every single day. People who are still stuck in this “internet is scary” mentality are pretty shocking to me. There are people who think people care so much about a random picture or a tweet that they set everything to private mode and try to lock everything down. That just adds friction and makes you invisible. The thing to remember is that NOBODY CARES. Great comment Duncan. I totally agree with you that nobody cares as much as you think they do. Very interesting post. I am really interested in working virtually/from home. Can you help me?